So you're taking a break from working in the garden. You have your feet up and a cold drink in your hand, but what's missing? A loving little companion, that's what. Dogs enjoy our gardens just as much as we do. I can attest to that based on the shenanigans of our 5 little buggers. Lizard hunting, fish watching, and lying in a pile of just pulled weeds are the favorite pasttimes of our 3 littlest guys. Vali, our shepherd, loves to roll in the grass while Beau, our interior designer wannabe, lays around catching the breeze. 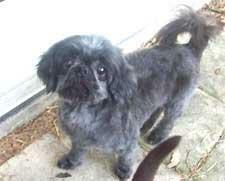 Pepper, an adorable shih tzu, is approximately 8 years old. I think he is younger. Very cute and very playful. We had to have his teeth pulled due to an old fracture of the jaw. They think he might have been kicked and then teeth rotted. He is a wonderful pup. 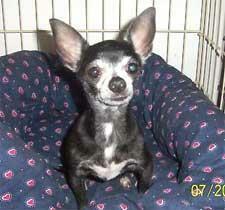 Margie, a chihuahua, is a very spunky little lady. Full of herself. Loves to go for car rides. Begs with her front paws. Loves to be carried and held. BONUS she weighs only 4 pounds and 8 years old. I think she too might be younger. Adrian, a chihuahua, is also a wonderful little guy. He is little and loves attention. He weighs 8 pounds. Very sweet and a little quiet and shy. Nice kid. Last but not least Tasha. She is a 5 pound Maltese who has 3 teeth. She is approx 9. She is full of life and very spunky. Possible liver disease, running tests now, we are hoping someone will still take her and let her live out her life as peacefully and happily as possible. I know it is a lot to ask but someone might enjoy her for many years to come. I do know she feels a lot better now than she did on the shelter floor. I would be willing to work out her adoption fee - Most important to find her place to enjoy her life. She is not a sickly little thing at all! She's bright and a little goof ball. Very spunky. BONUS she only weighs 5 pounds. OWNER SURRENDER Can you imagine that? She goes to all the doors every once and a while looking for her family. It is very obvious that she loved them a lot. Our home is a living, breathing example of what fun it can be living with seniors. Vali, Beau and Duncan are 15 years old. Yes there's a little arthritis with two of them and yes there's a cataract problem with one, but the love they give us is boundless. And the fact that they have a yard to play in and can still roll around in the grass when they want to tells me every day that we did the right thing. Our 2 other guys are younger - 2 1/2 years old - and they were also rescues, one from Kelly's group. They also jazz things up a bit around here and keep the older guys moving a bit more than they might. We really love our boys and don't know what our lives would have been like without them. So, as you're sitting back and taking a breather from all that gardening work please find it in your heart to bring a little senior or two into your life. You won't regret it and our friends at Lost Angels Animal Rescue will thank you as will I. Oh - if you're interested in meeting Tasha we'll be adding her pic within the next couple of days. Stay tuned. Happy Gardening. Wow, I really like this one. I have a website that talks mostly about inspirational gift. You should check it out sometime.